What happens when you combine Ah Boys To Men and the zombies from The Walking Dead? 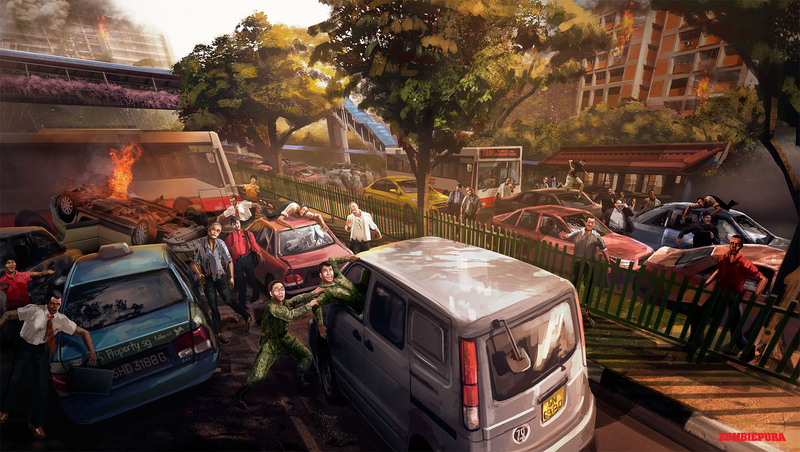 If you don’t already know, Singapore is about to have our very own zombie movie! Zombiepura finally released their movie poster and we’re all feeling very excited and maybe slightly confused. Honestly, the guy in the poster seems like he wants revenge for all the tekans under the hot sun and route march during his life in NS. The poster has since garnered quite a bit of attention on their Facebook page and it seems like most Singaporeans are excited for this ABTM X The Walking Dead collaboration. 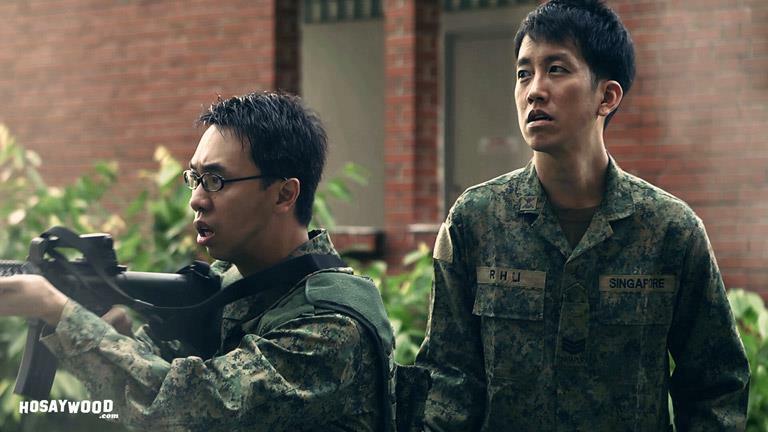 Singapore film director Jacen Tan produced a script for Zombiepura 8 years ago while he was on guard duty during National Service. The best ideas comes when you’re damn sian doing guard duty. Good on you, Jacen Tan. The $1mil comedy movie is slated for release in the second half of the year. 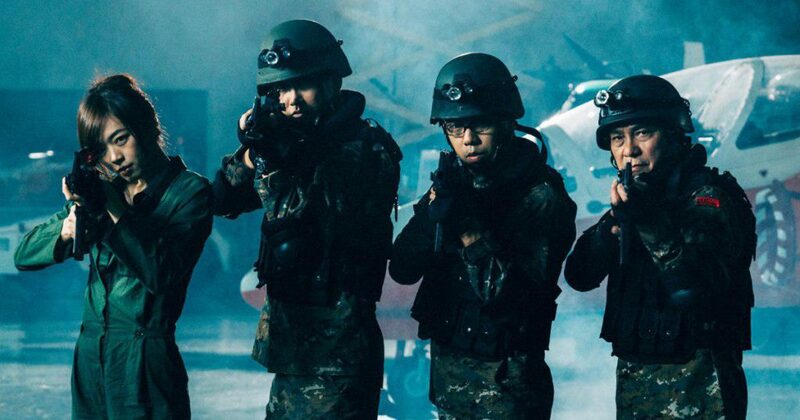 The movie revolves around a zombie outbreak in an army camp where a lazy reservist soldier (Alaric Tay) and a gungho sergeant (Benjamin Heng) are forced to work together to survive. If you’re expecting George Romero’s “Night Of The Living Dead” kind of movie, well, you’ll be getting a “Zombieland” movie instead. So, if you love horror and comedy, this movie is right up your alley. The movie has been in the making for 7 years! It took months of preparation, over 100 crew members and extras, gallons of blood, sweat and tears and a whole month of shoot. Talk about dedication. 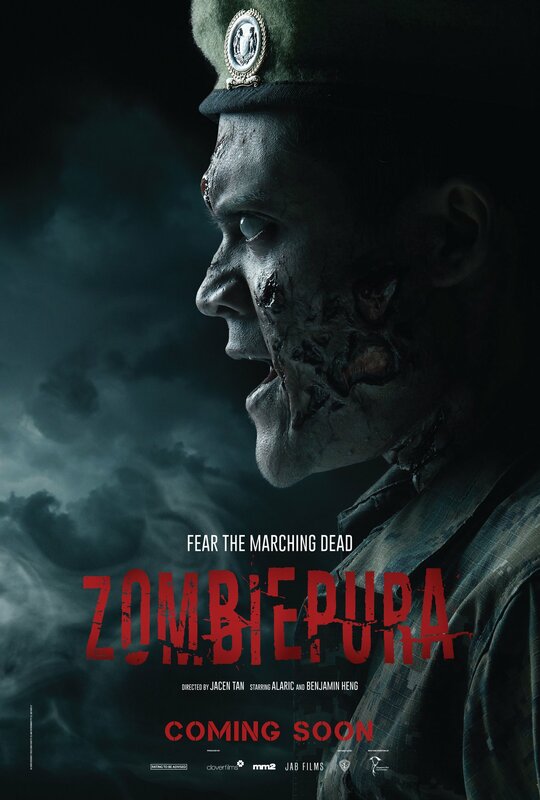 We’ve got real high hopes and expectations for Zombiepura once it hits theatres. But please, for the love of God, let’s pray they avoid tacky CG effects and product placements. The poster and concept art both look promising! One thing’s for sure, we can’t wait to see how the zombies turn out. But the real question is: What do we do during a zombie outbreak? Can we survive? Will SAF deploy their men to protect us? I guess we’ll never know. Pro-tip: Whatever happens, play dead.